Skin now demands some pampering .Rejuvinating skin is not a bad idea. If you are in your 20s now and haven’t yet reached 25 ,I guess you now how irritating pimples and blemishes can be. This season moisturizing is not eough calming down the blemishes is something we need . 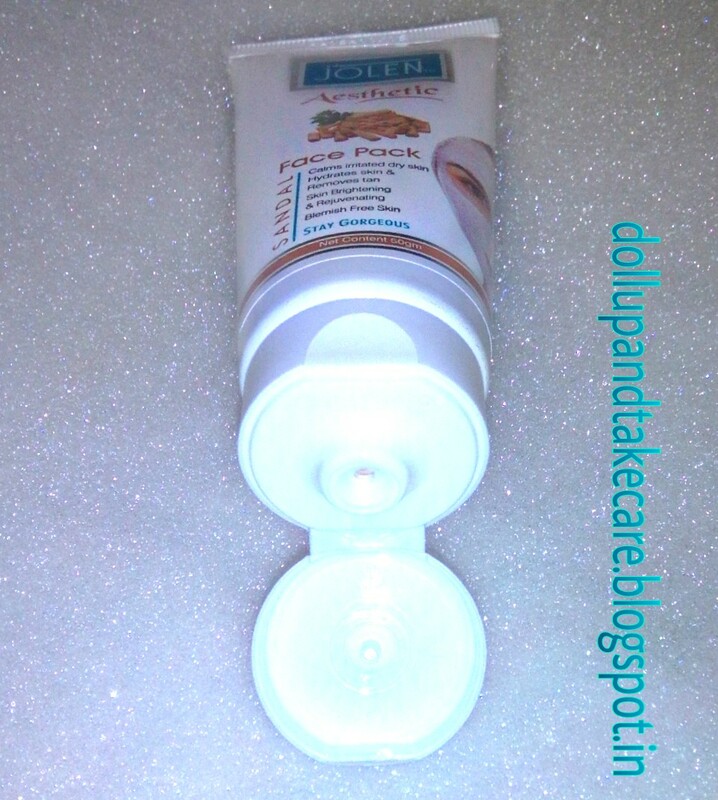 Finally I got a pack pack that sooths my skin ,rejuvenates it without making it over oily. 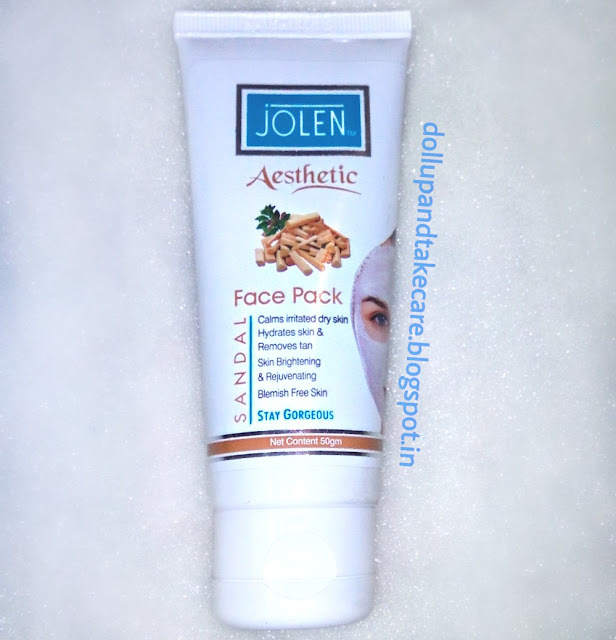 Jolen Aesthetic Face Pack Pure Sandal Skin Brightening & Rejuvenating is such an amazing face pack that my skin loves a lot. Sandal is one of those effective Indian beauty herb that gives a healthy glow ,removes tan and is effective to calm down acne prone dull skin. 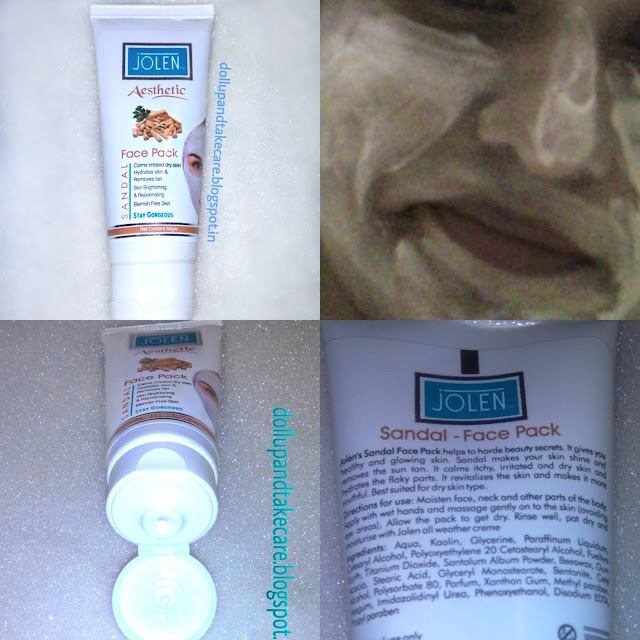 Jolen’s sandal face pack helps to horde beauty secrets. It gives you healthy and glowing skin. Sandal makes your skin shine and removes the sun tan. It calms itchy, irritated and dry skin and hydrates the flaky parts. It revitalizes the skin and makes it more youthful. It is best suited for dry skin type. KEY INGREDIENT: Aqua, Kaolin, Glycerin, Paraffinum Liquidum, Cetearyl Alcohol, Titanium Dioxide, Stearic Acid. DIRECTION FOR USE: Moisten Face, Neck and Other Parts of The Body. Apply with Wet Hands and Massage Gently on To The Skin (Avoid Eye Areas) Allow The Pack To Get Dry Rinse Well. I am impressed with the not so complicated yet hygienic packaging that is a tube provided with a flip cap. You need to squeeze 2times a pea side from the tube to cover full face. The texture is very smooth and totally sandal colored . I applied it and let dry. It dries in 20-25 mins after which I rinsed it with luke warm water.